Smarts? You'd better believe it. And speaking of lesser detected gems…. Taking a page from the Sumitomo Seimei Seishun Anime Zenshū TV series of the 80s, we have one incredible little anomaly of a show. Another series that truly lost its audience this decade came from one of the more underappreciated manga works as the medium itself gathered steam unheard of on these shores. 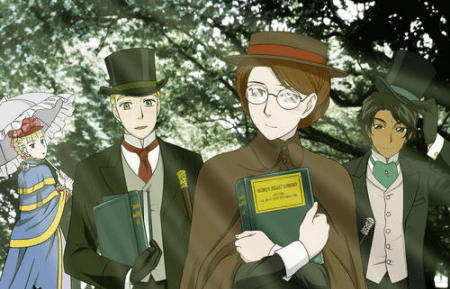 The biggest culprit for this, oddly enough, was that Kaoru Mori’s lush romance manga was immersed in a love of Victorian-era England, and it’s potential for understated drama. And so naturally, the superb anime adaptation was to suffer the same fate, but not without its own army of loyal fans. It is also worth noting that it was perhaps the era’s love for maid-centered fare that helped EMMA along in Japanese popularity, but the focus was far from what many observers would assume. EMMA is a classic tale told with incredible delicacy and love for the world its characters live and breathe in. And even if the central plot involving the unlikely romance between a young man of gentry lineage, and the servant of his childhood governess is far from anything new, it is the bold retro artistry & solid storytelling that sets it miles above the rest. Tsuneo Kobayashi’s work on this series is particularly striking as it never resorts to cheap gags or gimmicks in order to gain audience involvement. Everything from the scripting, to the unusual color palette, to its appealing cast, EMMA works like a gift from the masters of anime past. Like any great tea, the series takes its time, inviting the viewer to savor every sumptuous moment. 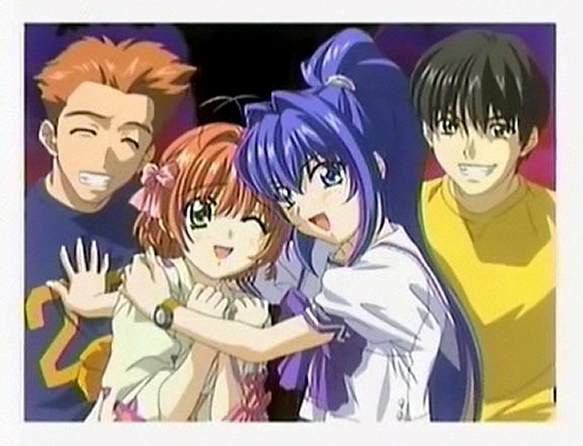 Looking back at the decade for comedy, fewer anime series had the heart, intelligence, and rewatchability of this suckerpunch of an adaptation. The animated adventures of Kiyohiko Azuma’s cast of high schoolers and their teachers is not merely hysterical, it is an oasis of time. Not so much interested in narrative, rather than the daily thoughts and sights as seen through the eyes of the young where the higest pressures imaginable dealt with self-image, and perhaps the occasional test scores. From the bright-eyed world view of child prodigy Chiyo Mihama, to the acute chaos of ladychild Yukari sensei, the show’s cast takes on an arsenal of topics from the observational, to the sublime, to the just plain weird. And somehow, Hiroshi Nishikori makes it all look incredibly easy. Punctuated by cleverly executed pauses and witty verbal gags that only get better with age, the series has long been a “play in the background” favorite of mine for years, and will likely remain the gold standard for “blues-cure” material for years to come. The eyes of the young is something we should never lose ourselves, and from those we love. Which falls comfortably within the next entry.. They often see what we fail to..
Who would have thought that giving the post-Pokemon subgenre a serious dose of science fiction would be so great? Mitsuo Iso and company take a pilfered concept, and deliver a charming & utterly exciting kids series. It’s what if William Gibson pulled off a head-on collision with Isao Takahata with near tachyon speed. Imagine if Totoro was a virtual creature living within a simulated construct of the forest? Depressing thought for some perhaps, but not entirely implausible. And the series plays wondrous amounts of havoc with expectations, and grants us a fascinating look at not only how we react to technology’s grandest leaps, but how our children grasp it so easily. You hear that rumbling in the background? Well…That’s hyperbole coming. And it’s well-deserved! 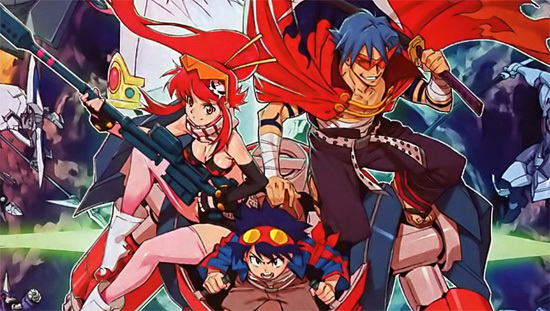 If hyperbole has a name, it is Tengen Toppa Gurren Lagaan. And when I say hyperbole, I mean it in the most literal meaning possible. Upon the release of the first images, I will admit to being worried since the once great studio had been leaving me feeling parched for several years prior. And yet GAINAX still pulled an amazing hat trick with this energizing take on The Hero’s Journey. Imaishi, Kobayashi and others not merely nailed the best elements from Campbellian findings, but also create a wholly exciting new kinetic vernacular for it. Wildly inventive, and thrilling where it counts. An action series for the ages with some profound messages within. Talk about your full circles, this is GAINAX’s rowdy heir to the throne of GUNBUSTER. And I guess it only makes sense to transition from one great risk-taking studio, to the next generation. No matter what one may think, this next selection had all the necessary cards, and took everything but our home and underwear.. There's still no stopping her. Perhaps this was an inevitable consequence. We can say what we want about a modern age awash in a need for irony. But it is something else completely when the medium entire is turned inside out within the confines of clever storytelling and smart characters. It’s still amazes me that Tanigawa’s characters caught on the way they did. Upon explaining it to someone who’s never watched it before, many have looked at me either mildly bemused, or just outright put off by how incredibly pretentious it all may have sounded. But the proof is there for the many who took that chance and actually viewed it. It’s like witnessing a joke that no one has really heard, but everyone instinctively knows. Who would have thought that the tales of a doubting thomas at the whims of a sleeping deity would have connected so well with so many? 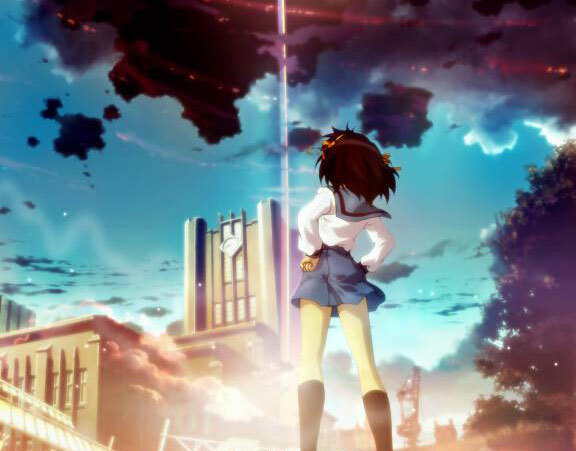 Proving that anime didn’t have to resort to formula to be successful,KyoAni’s signature achievement is that while the trappings may seem familiar to an outsider,the true proof of greatness is in the flavor of the meat. 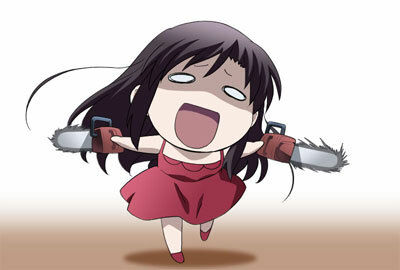 After all, we’ve all met a Haruhi once or twice in our lifetimes. And no matter how much we cringed, longed to ignore them, or even wished to throttle them, our lives were likely a brighter place with them. Filled with enough incredible ideas and laughs to fill an entire decade of geeky brilliance. And this is a perfect place to segue into the endgame folks. This is where the play stops, and the collision of art & mind have domain. And what better way to start the top four, than with one of the medium’s most fascinating voices? Tokyo has gone mad..And I feel fine..
At the end of the 90’s, the mutual worlds of the international film community as well as the anime camp were knocked silly by the debut film by former Otomo collaborator, Satoshi Kon who’s debut delivered a shellshock rarely seen. A film so lifelike, it could easily have been made in live action. A film so surreal, that only animation could properly contain it. And yet, Perfect Blue established a worldview so hellbent on illuminating the dark heart of fandom that it solidified Kon as a global force unique to either medium. So when his decision came after two films (One a drama, and the other a holiday comedy!) to do a television series, many of us took great notice. But if you were to ask me if I was prepared for what Kon had in store, I would say I probably required a neckbrace from the psychological whiplash inflicted by those opening credits! We were in Kon’s mad world once again, as his targets were far more diverse than merely the entertainment industry. His concerns were more far reaching this time, and perhaps even more alarming than before. And he wasn’t offering any illusory hand to save anyone from this abyss either. This is Kon’s Tokyo, and what he sees is far from pleasant. An uncompromising, visceral work of modern pop art. And while we’re on the subject of mature, visceral anime…It’s probably time to break out the big guns. Big guns, and even bigger brains. I mean it. Upon first catching news that Production IG was hard at work in a television version of Masamune Shirow’s classic, my first reactions were a mix of unadulterated joy and apprehension. In the early 2000s, could there possibly be any way to make such a rich, and complex universe work for tv? Absolutely, and then some. 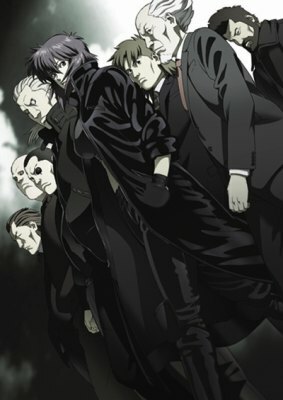 Even as I enjoyed the original Stand Alone Complex series, it never completely satisfied me on certain levels, which only made perfect sense once 2nd Gig begins and director Kenji Kamiyama hits the thrusters on full as the first season merely functions as the vital groundwork to make the second season a resounding success. Taking thematic cues from mentor, Mamoru Oshii’s classic Patlabor 2, a growing desire for independence in a networked world creates international tensions that place the infamous Section 9 in the position of outsiders, with the pressures mounting, and the lives of possibly millions at stake. Whereas Stand Alone Complex functions as the ultimate cop show, 2nd Gig is a thrilling rally cry for a new identity amid gargantuan torrents of data on the verge of a cataclysmic crash. Initially, I had strong reservations regarding Yutaka Izibuchi‘s “edge-anime” take on the mecha melodrama. But one episode in, it became clear to me that beneath the trappings of the series was a clear-cut, visionary plan. From the opening frames in, the series oozes an aura of questions that is both lyrical, and ethereal without losing that personal touch. These human elements seem that much more amazing considering the budget and talent involved. After the rubble left in the wake of Evangelion, it just felt the perfect time to execute an elegant take on tropes made famous by not only Go Nagai & Yoshiyuki Tomino, but even works like Megazone 23. (thereby outdoing The Matrix in the “puppet who discovers his humanity” sweepstakes) Let it be said that this is a series for those who like their stories not only sweeping, but thoughtful. And as such it offers miracles where most shows often stumble. The series is a prime melange of familiar ideas, with a strong yen for the arts of the world to create something not only special, but truly alien in the mecha anime sweepstakes…a mecha series that is not merely beautiful but alive. Ichiko Hashimoto’s one of a kind score melds synergistically with Akihiro Yamada & Hiroki Kanno’s stunning character/costume design, not to mention a strangely alluring color scheme. And let’s not forget some truly memorable animation by a pre-Gurren Lagaan Hiroyuki Imaishi offsetting some of the most surreal action scenes ever created for television. Packed to the brim with textural beauty, startling music, and a blindsiding arsenal of devastating emotion toward the finale, this is far more than many would have expected, and truly not one to be overlooked. A true rarity for even television. Had to rewatch this over the week to make absolutely sure I wasn’t lulling myself into a corner, and am happy to report that it wasn’t all some kind of rose-tinted nostalgia. 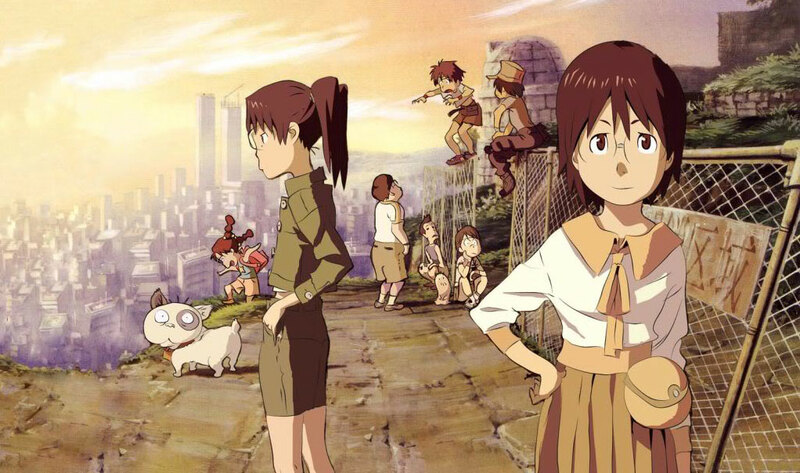 Yoshitoshi aBe’s return to anime, post the ambitiously mindbending Serial Experiments Lain, and curiously funny brilliance that is Niea Under Seven, brings us a visionary half season punctuated by a wisdom that is rare in most visual media. 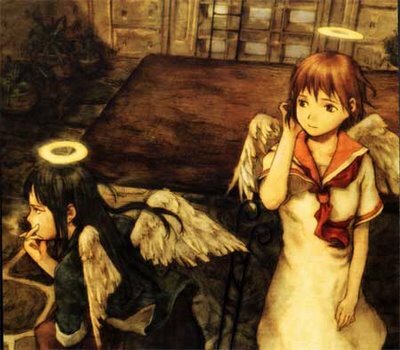 Based upon his short doujinshi series, Haibane Renmei is set amidst a colony of second class citizens who’s status aside from living off of second hand materials seems to be within an almost pastoral environment that many could even considered ideal. But the stigma of having haloes and wings, and never being able to leave their designated areas remains a mystery even to them. It’s a deceptively complex setting, rife with its own mythology which we only get fragments of, and yet just enough to feel that the hidden is within reach, and yet is hopelessly intangible. As we follow a young newcomer to the core group of girls the story centers on, the Haibane existence feels both liberating and strangely oppressive which director Tomokazu Tokoro handles with an unusual amount of sensitivity that assures us that we are indeed inhabiting in an enigmatic oil painting in 21 minute increments that asks us to question our own surroundings without resorting to safe or trite answers. What is discovered on this journey is both transcendent and heartbreaking on so many levels that it’s hard to imagine that this series was ever produced for television, let alone an anime studio. From the direction, to Kou Otani‘s masterful score, to the astonishing performance of Junko Noda, this is a keeper that grants even more beautiful mystery with each viewing, and my top favorite series of the Zeroes. – GitS SAC (original series) (2002) Why is this not up there with the big ones? Simple. It serves as fun exposition, where 2nd Gig raises the stakes in ways this one just couldn’t with all that thematic baggage. – Gunslinger Girl (2003) Intensely executed science-fiction drama, as well as a scathing critique on a growing social disconnect with adult males. – Last Exile (2003) Possibly this decades’ anime equivalent to Star Wars. Lovely characters, and an exceptionally realized world. – Eureka 7 (2004) Exciting is hardly the word. Exhilarating might be more appropo. Anime escapism at its finest. 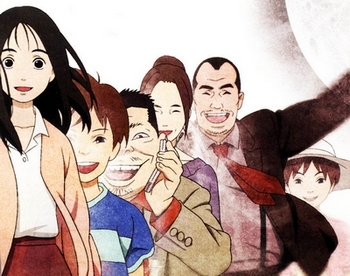 – Monster (2004) A VERY good version of Urasawa’s masterful manga. Endlessly intriguing. – Windy Tales (2004) A total left-field winner that takes a simple concept of looking at the sky, wondering what its like to fly, and leads it into a winning look at some very interesting individuals. A true original. – Kurau: Phantom Memory(2004) Brilliant science fiction that rubs antennae with the very best anime has to offer. A little wobble later prevents it from top ten status, but it’s still a potent experience. – Kemonozume (2006) Masaaki Yuasa & Madhouse’s experimental take on the “Oni-in-our-midst” is a captivating view. Truly unique and not to be missed. – Lovely Complex (2007) What is quite possibly my favorite shoujo adaptation in years wins largely due to its keen direction and cast. But most notably for the brilliantly dorky performance of one Akemi Okamura(Yes,Nami), in a hysterical turn as an unlikely romantic heroine. – Toradora! (2009) Quite possibly, a penultimate high school romantic comedy, encompassing the notion of contrasting image with reality. Refreshingly funny, and heart-rending. A must! – Higashi No Eden (2009) Kenji Kamiyama takes on JJ Abrams, with his thrilling cross-country mix of post 911 paranoia and world malaise. And all done with a smile & wink reminiscent of a certain master thief. Brilliant! – Tokyo Magnitude 8.0 (2009) A last-minute stunner as Studio Bones takes on the harrowing possibility of natural disaster, and the resilience of life. All the more potent these days. An wonderfully executed series. Oh that’s easy, even if it’s a technicality..FLCL . Have a nice ten years! Nicely done, nicely analyzed, simply awesome. This is a gem of an article for anime fans. That was a very nice write up. It avoids heaping generalized praise and instead is a collection of well considered thoughts that get at the heart of each series. I’m really awed that these shows were “made for TV”, more like creative artistic endeavors. Oh totally agreed. It seems that the whole “edge” movement opened op the canvas for many studios to play not only with genre, but with what the general public expected out of anime. And even as a lot of the market began to slowly corner itself again (and this time into sometimes cringe-inducing territory), there have been works that pushed back. Here’s to hoping that the legacy of some of these shows keeps the spark alive in the minds of future animators/storytellers. I must admit that I haven’t seen many of the shows listed in the top ten, though I’ve seen nearly all the honorable mentions. 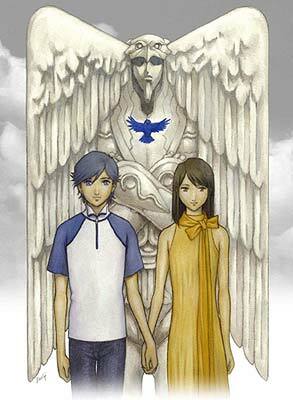 I was glad to see Azumanga Daioh and RahXephon in the mix however, as both series touched me in certain ways. (Good ways, not the bad ways.) Very thoughtful write-ups on the shows too. Not bad, Wintermuted – a well fought battle, indeed. FLCL is about equal to R.O.D. for me, with R.O.D. just edging it out due to it’s randomness. And Emma… oh man. I absolutely loved the first season and watched it religiously. I don’t know what happened, but in the middle of the second season I just stopped watching. I think I’m going to just pick up the second season a sit down and watch it. I loved R.O.D., but over time, it has fallen into mere Bruckheimer with a brain blockbuster formula for me, which while fun doesn’t age as well as FLCL has for me. In fact, I re-watched it recently and was taken aback by how lean it was. But for me, FLCL’s claim to fame is the incredible amount of complex characterization it gives Naota & Haruko throughout the surface chaos. Agreed about EMMA, around season two, things began having problems. This is where I let the manga take over. But that first season is just plain dreamy.